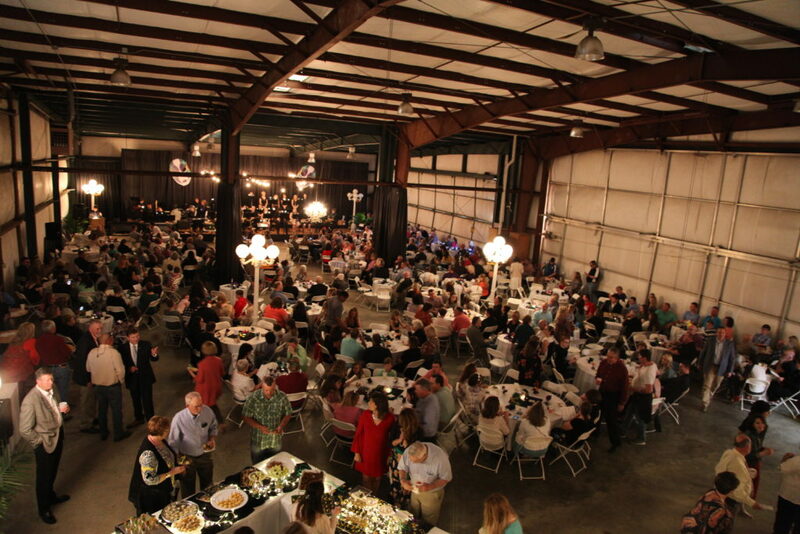 The sixth annual installment of the “Fly Me to the Moon” Hillary Hadley Memorial Scholarship Jazz concert was held this past weekend at the Adair County airport with a record number of nearly 400 in attendance. The “Fly Me to the Moon” concert is held each year in memoriam of Hadley. Proceeds from the annual event go to the Hillary Hadley Memorial Scholarship foundation at Eastern Kentucky University. More than 10 former ACHS students have been awarded this scholarship since its inception in 2011. Friday night’s concert featured performances by the ACHS Jazz band under the direction of ACHS assistant band director Jordan Humphress, the LWC Jazz Band under the direction of Tim Allen, as well as guest musicians Jonathon Holmes (band director of Glasgow High School), and Larry Nelson who was Hadley’s former teacher as is also the Asst. Professor of Saxophone and Jazz studies at EKU. Hadley, a former ACHS student and field commander of the marching band, loved Jazz music, flying in airplanes, and being unequivocally cheerful. Her vivacious personality and positive outlook is remembered by everyone who ever came in contact with her and her friends and family continue to honor each year with the “Fly Me to the Moon” fundraising event. Hadley graduated from ACHS in 2007 and attended Eastern Kentucky University to study aviation and dietetics. Just before the start of her junior year at EKU, Hadley died tragically in a truck-train collision on Aug. 11, 2010. Hillary made an enormous impact on the lives she touched. She loved life and was rarely seen without a smile. She was talented, beautiful, and a role model to others. When the scholarship fund reaches $100,000 it will take care of its with interest indefinitely even with $4,000 taken out annually for scholarship recipients. To contribute to the Hillary Hadley Memorial Scholarship please make checks payable to EKU Foundation with “Hadley Scholarship” posted in the memo section. Mail the gift to Eastern Kentucky University Foundation Office of Advancement, 521 Lancaster Ave., CPO 19A, Richmond, KY 40475. Hundreds of community members and friends and family of Hillary Hadley came together last weekend for the sixth annual “Fly Me to the Moon” memorial concert and fundraiser. The fundraiser preserves the memory and attributes to an endowed scholarship of former ACHS student and band member Hillary Hadley, who died tragically in a truck-train collision just before her junior year at Eastern Kentucky University.